Welcome! This page is intended to assist people trying to understand the crazy that is cryptocurrency and blockchain. I’ve kept it short, because I’m not trying to overwhelm anyone. Good luck and may the force be with you! Local Meetups I can vouch for. Want to get skin in the game? I can personally vouch for both of these outfits. Different levels of free and paid subscriptions. SeekingCyrptos has a full range of trading, not just crypto. A TED Talk of Laura Shin talking about bitcoin and the future of work. It has a great overview of possibilities with this emergent technology. Laura Shin and the Future of Work. If you’re new to the game or even been around awhile, I can’t recommend this video enough. Caitlin Long really get’s this and if it doesn’t make you question our current financial infrastructure, nothing will. It’s 40min that may just change your life. The Future of Money – Using Blockchain to Fix Money and Capital Markets. Everything You Need to Know About Blockchain But Were Too Embarrassed to Ask. An easy to understand explanation of how the blockchain works. Guide to Forks: Everything You Need to Know About Forks, Hard Fork and Soft Fork. 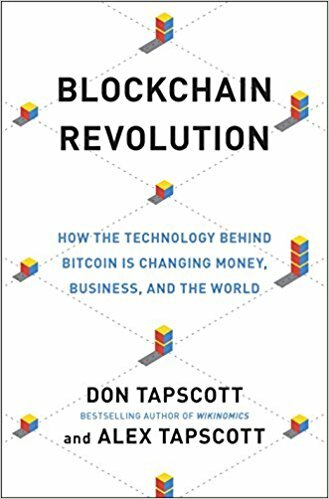 An overview with 35 Real World Examples of How Blockchain is Changing Our World. How Blockchain Could Eventually Change The Way Governments Function. How Blockchain Will Disrupt Our Election System. Using the Blockchain to Change the World’s Governments. Want to make your vote really count? Stick a blockchain on it. Running Up That Hill: Here Are All Members of Congress Involved in Crypto. A constant feed for all things crypto. CCN. If you’d rather watch videos on all things crypto I tend to like this guy and his content. Great starting place with lots of free material. Good luck on your crypto journey! Welcome to the future! !